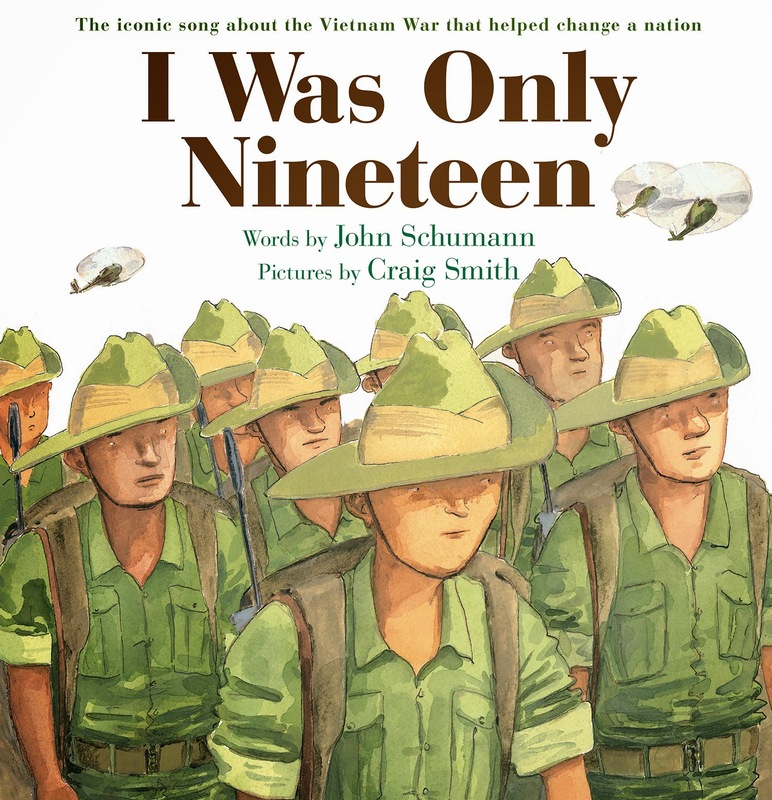 John Schumann, Australian songwriter, guitarist, and lead singer of the former folk group Redgum, now known as The Vagabond Crew, has resurrected his iconic song I Was Only 19 (A Walk in the Light Green) in a picture book illustrated by the talented Craig Smith. Anastasia Gonis asks how the book came to life and if there is more of the same to come. What significance does this song have for you, and what motivated you to give it visual life through a picture book? In many ways this song changed my life. 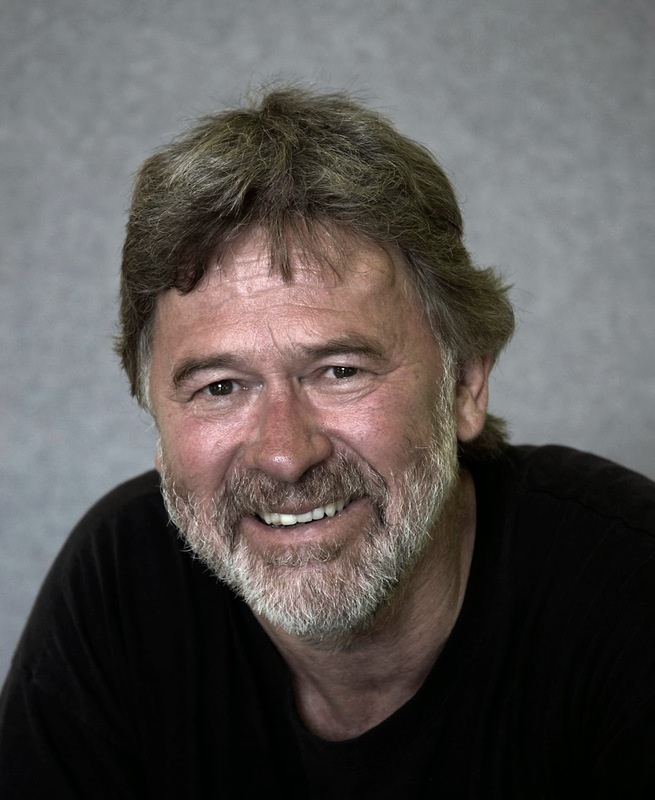 When I wrote it and started playing it live with Redgum, I had absolutely no idea that it would take me around the world - from Belfast to Belgium, from Adelaide to Afghanistan. On the back of Nineteen I have met some amazing people and done some extraordinary things, things that most people can only dream of. But most importantly, '19' has earned me the real and lasting friendship of many people in the veteran community. These friendships are the most valuable things to come from I was only 19. To be frank, I never considered this song as having any potential as an illustrated picture book. And, in truth, the motivation was not mine. The potential was actually drawn to my attention by my friend, author Phil Cummings. I’d written a suite of songs for his book, Danny Allen Was Here. During one of our long, rambling conversations, Phil suggested that '19' might work as a picture book. I was somewhat doubtful - I couldn’t quite see how a graphic song about the effects of war on the soldiers who were sent to fight it could work in that way. Phil was insistent, however, and he connected me with his agent. One thing led to another and Allen & Unwin jumped on it with decisive speed! There was some serendipity here because I’d been idly looking at publishers to approach about another project I had in mind. I really liked the look of Allen & Unwin: I liked the fact that they’re Australian, independent, and run by intelligent, capable women. Acknowledging that all picture books are not only for children, for what specific age group did you aim this publication? In the beginning, I didn’t have a specific age-group in mind. I still don’t, really. The people from Allen & Unwin, however, had it in their minds that it would work for kids between the ages eight and fourteen. I am being guided by them - and they are convinced! Anyway, I was up in Sydney in the A&U office looking at Craig’s roughs one day and I hit upon the idea of a grandfather telling his grandson the story of his tour of duty in Vietnam. Anna McFarlane from A&U loved the idea and once I saw what Craig did with the opening and closing illustrations I came to accept, finally, that it does work well as a kid’s book! There is a strong depiction of the life, emotions, experiences, and long-lasting damage to the soldiers that served in the Vietnam War. Was it your intention to bring awareness of this historical event to a new generation? The truth is that I’m not entirely sure what I had in mind when I wrote I Was Only 19. I’m a storyteller. In the moments I was writing the song I was simply telling a story. But I’ve always been opposed to war. War epitomises failure and wars damage and dehumanise us all - none as much as those who fight them, regardless of which side they’re on. The old saying goes “Those who refuse to learn from history are condemned to repeat it”. I can only hope that my song helps, in some small way, to prevent future generations making the same mistakes as past generations. I think it was President Kennedy who said “Mankind must put an end to war before war puts an end to mankind”. If one kid is moved by this book and, as an adult, perhaps as a politician, raises his or her voice against the inhumanity and brutality of war, it will be worth it. Your book is also a timely reminder that the seldom recognized Vietnam War veterans offered up the same sacrifice as the ANZAC and WW2 veterans. Do you feel our young generation knows about this other branch of courage and sacrifice by Australian soldiers? If not, why not? It’s a good question. I think Australian kids have a generalised understanding and appreciation of the sacrifices made by the men and women who’ve fought in previous conflicts. That’s demonstrated, perhaps, by the number of young people we see these days at dawn services and lining the streets on ANZAC Day. With specific regard to the Vietnam War, on reflection, there are many films in existence about the Vietnam War (not all of them entirely commendable) and I expect that lots of Australian kids have seen these. So, I think they’re aware of the Vietnam War though I’m pretty sure that they’re not aware of the socially divisive nature of that particular conflict. I think you had to live through it. If I Was Only Nineteen has any educational virtue, it might be that it reminds kids that quite often the combatants were not much older than them. That can be a sobering thought, particularly for teenagers. You vocalised all the social issues you believed strongly about in your lyrics and songs. There are so many themes that scream out for attention. Have you considered this medium/genre as a conduit for expressing other social concerns; ones that relate to children? That’s another good question. I am a great believer in the capacity of art, in all its forms, to change the world and humanity for the better. That said, I haven’t really stopped to think much about the power of an illustrated book such as this. I work in music and lyric so I am a neophyte - and this excursion into print is exciting and educative. I can see there’s potential and it’s something I might look at in the weeks and months ahead. You have taught English and Drama. Do you write? Can we hope that there is more to come in the form of children’s books? Yes, I write. All the time. I’m one or two chapters into a memoir at the moment - what will come of that, who knows? On the subject of children’s books, when I stop to think about it, many of my songs lean heavily on the ‘visual’ which means they might very well work as illustrated texts. I’d be very happy to have a look at my catalogue and see if there are other songs that could be brought to life in the same way that '19' has been brought to life. One of my songs, Thunder across the Reef, is about the wreck of the Star of Greece off the coast of Port Willunga in 1888. I confess it did occur to me that that song might make a good picture book! In closing, Craig Smith insightfully translated and resurrected your lyrics and all they stand for. What does it mean to you to have your work, thoughts and beliefs, presented in this way? It’s a tremendous privilege to have one of my songs illustrated by an artist as talented and dedicated as Craig Smith. It’s very much like the cover of '19' which was recorded by The Herd back in 2006 or 2007. I was delighted at how they interpreted '19' and how they gave it new life and brought it to a new generation. I think Craig’s done the same and I’m immensely proud and immensely grateful. I Was Only Nineteen will be released by Allen & Unwin on 26th February 2014 and will be available in all good bookstores and online for $24.99 RRP. There are teachers' notes available for this title. That's such a fantastic song. Turning it into a picture book for 8-14yr olds is an intriguing concept. Best of luck. Wonderful interview with the author of what promises to be a fantastic addition to the bookshelves of many, including my own.